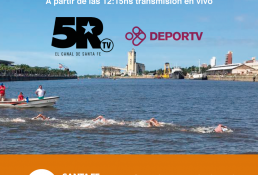 CANCELACIÓN MARATÓN SANTA FE CORONDA 2016. After having held several meetings with Prefectura Naval Argentina, Santa Fe State Natural Disasters Direction, local and state authorities we are ready to notify that “El Niño” phenomenon adverse consequences will remain on for the near future time in the Santa Fe – Coronda area. 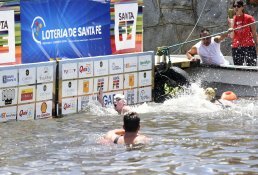 Due to high level of Paraná River (ARG) that is affecting this whole geographic area causing natural disasters, floods, river overflowing, Prefectura Naval Argentina has decided - through Disposición SAFE R 16/ Nº 1 /16 to forbid acuatic, swimming and fun activities in Laguna Setubal – Santa Fe-, Puerto Santa Fe and Rio Coronda the normal and unique way of the race. This prohibition is to be held until the natural unfavorable conditions quit. The OC has also tried to keep the race through an alternative and shorter course of competition ( Santa Fe local port or Coronda waterfront), but these choices were to be discharged due to the permanence of bad weather and river conditions. 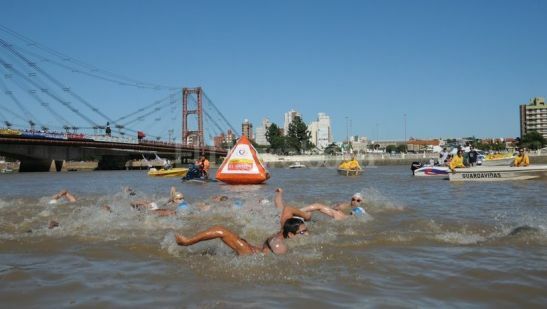 This is to officially notify the CANCELLATION OF 2016 OWS GRAND PRIX FINA SANTA FE CORONDA (ARG) due to overwhelming force natural situation.